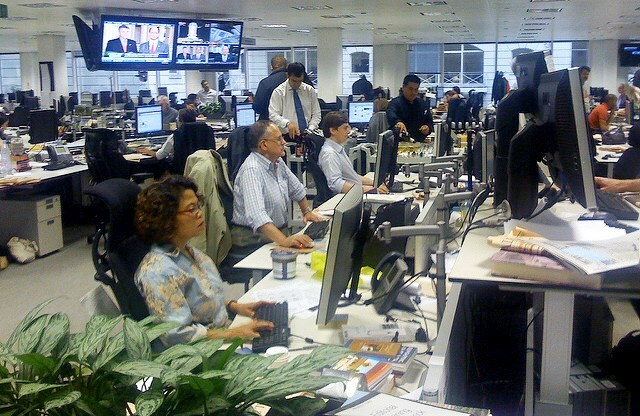 How important is an online corporate newsroom? All journalists – 100 percent – say having an online newsroom is important, and 44% say it’s very important, according to a survey by TEKGroup International. 93% of journalists visit online newsrooms frequently, 29% every day. 79% visit online newsrooms of small to medium size organizations as well as large organizations. 100% believe it’s important to able to access PR contacts on the online newsroom. 88% believe it’s important to access backgrounders, such as the organization’s history, awards and white papers, within the digital newsroom. 79% say accessing video files in the newsroom is important, 25% say it’s very important. 82% believe links to the organization’s social media profiles is important. One feature that’s not so important is RSS feeds. Opinions are divided about RSS feeds. Half say they’re important; half say they’re not important. 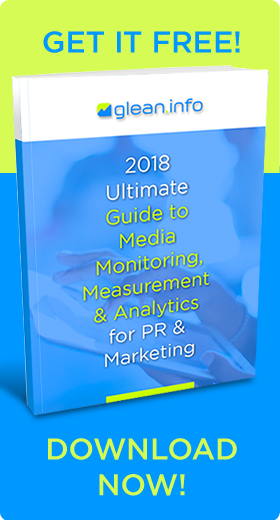 Other research supports the assertion that online newsrooms, also called press rooms or media centers, are critical for digital PR and marketing. Two-thirds of journalists visit online newsrooms every week and one-third visits a newsroom daily, according to a survey last year by video content provider TheNewsMarket. Reporters as well as bloggers typically visit the online newsroom as the first step in writing a story about the organization or when writing about an industry development or business issue. 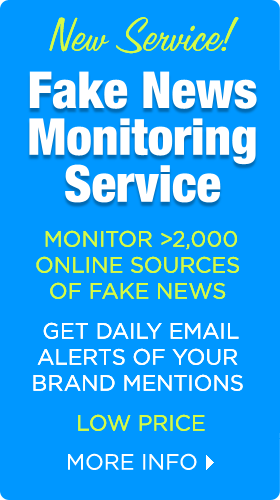 A first-rate online newsroom containing content that journalists seek opens the door to major media mentions when journalists from national publications and trade journals seek information in online corporate media centers. In addition, investors and other key audiences also conduct background research on companies by visiting their online newsrooms. Yet many organizations treat their online newsrooms as a dumping ground for old press releases, frustrating time-pressed reporters and bloggers. If corporate communications professionals don’t post what reporters or bloggers seek and in a place where they can easily find it, they’ll turn to other less reliable places for information. Updated information is clearly essential. More than a few companies have left names of company executives on their websites after they’ve departed. Reporters may publish incorrect information they find on the company website. In addition, press rooms that are frequently updated show that the company values good journalism and the media attention it creates and helps boost search engine rankings. Think like a publisher. With fewer news media outlets and fewer journalists available to report brands’ stories, companies can become their own media outlets by taking advantage of the power of brand journalism. Staid corporate press releases will bore readers. Creating content like a journalist can interest website visitors, including journalists who may use the content. Brands can become a news source if they consistently generate interesting, informative and timely content. Storytelling has become a key element in generating earned media placements. Nissan’s story relayed how the company was the first Japanese carmaker to compete in the all-electric ABB FIA Formula E racing championship. The story included interviews, behind-the-scenes video, and cinemagraphs (images with motion that plays in a loop). Previous media coverage. Include previous media coverage on the company. Reporters typically want to read what competing outlets have written about a company. If it’s not possible to obtain permission to post the entire article, publish a headline or brief summary with a link to the original story. 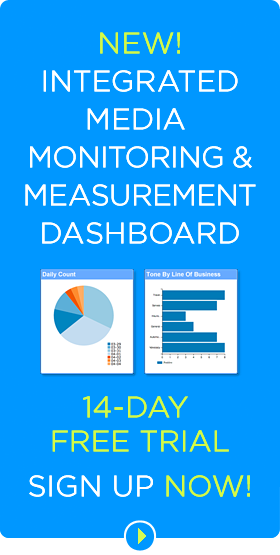 A media monitoring service is essential to finding all media mentions of a company. Multi-media content. TV broadcasters, bloggers and many viewers prefer videos over text. Consider how company news announcements can be transformed into videos. If not video, then create unique and interesting graphics and photography to illustrate news announcements, products and manufacturing processes. Organization. Place all elements reporters might use for a story on a single page. Forcing reporters to find images for company articles on a separate web page causes frustration. Images. Include high-resolution images for downloading, including images of top executives and spokespersons, company logos, and products. Try to avoid stale images. Photos and graphics that exhibit some creativity get far greater use. Social sharing. Make social sharing an integral feature of an online newsroom. When journalists find content in an online newsroom, they sometimes like to share the link directly with their audience. Make the newsroom prominent on the website. A link to the newsroom in the corporation’s top navigation bar allows journalists and others to quickly find it, recommends Ibrey Woodall, vice president, Web Communications Services at Business Wire. Follow SEO best practices. Use alt text for images, descriptive labels for images, an XML site map, and proper page titles. Links to past media coverage about your company. A company history or timeline. Profiles of company subject matter experts and links to their research or white papers and instructions for how reporters can arrange interviews with them. Company logos in different formats with instructions on their use. Executive bios or at least links to them if they’re located in the company “about” section. Bottom Line: An online corporate newsroom offers a potent tool to win media attention and promote the brand’s messages directly to audiences. The best media centers employ brand journalism to create content that feels more like objective reporting than corporate marketing jargon. The common practice of merely posting press releases is likely to flop. This article was first published on April 5, 2018, and updated on Jan. 25, 2019.